North Carolina Gov. Roy Cooper signed Thursday a proposal to replace North Carolina’s anti-LGBT House Bill 2 with another law enabling anti-LGBT discrimination, prompting cries of betrayal from LGBT advocates who say he disregarded his campaign promise to sign the bill in full. The measure, House Bill 142, was approved on a bipartisan basis Thursday in the Senate by a vote of 32-16 and the House by vote of 70-48 after Republican leaders and Cooper announced the deal late Wednesday night. Cooper announced during a news conference later in the day he signed the bill. 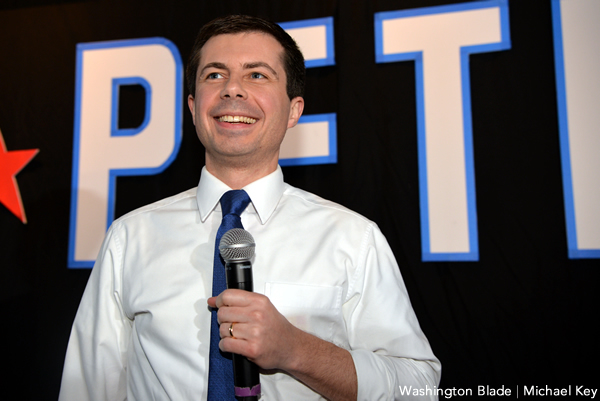 Cooper insisted “not only provides for LGBT protections, but opens the door for more,” even though no aspect of the new law prohibits discrimination against LGBT people. The governor said as part of the negotiations he was able to stop LGBT rights from coming up for a referendum in North Carolina or a “religious freedom” measure that would enable discrimination against LGBT people. 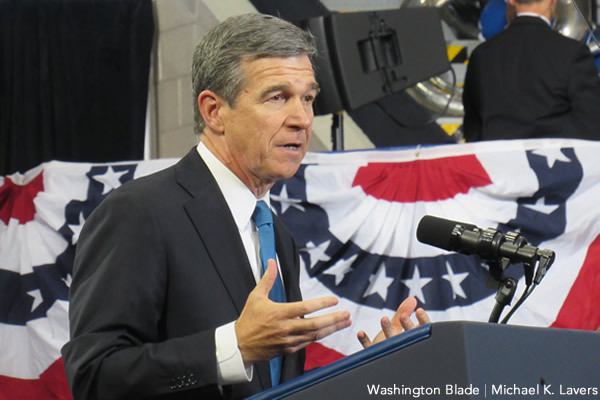 After having campaigned not only on HB2 repeal, but support for statewide LGBT non-discrimination protections, Cooper said a bill that would bar discrimination against LGBT people throughout North Carolina remains his goal. The new law repeals HB2, but critics say it still enables discrimination. Section 1 bars state agencies, including cities and the University of North Carolina, from the “regulation of access” to multiple-occupancy restroom, showers or changing facilities except in accordance with the legislature, which essentially leaves transgender people seeking to use those facilities vulnerable to harassment or discrimination. 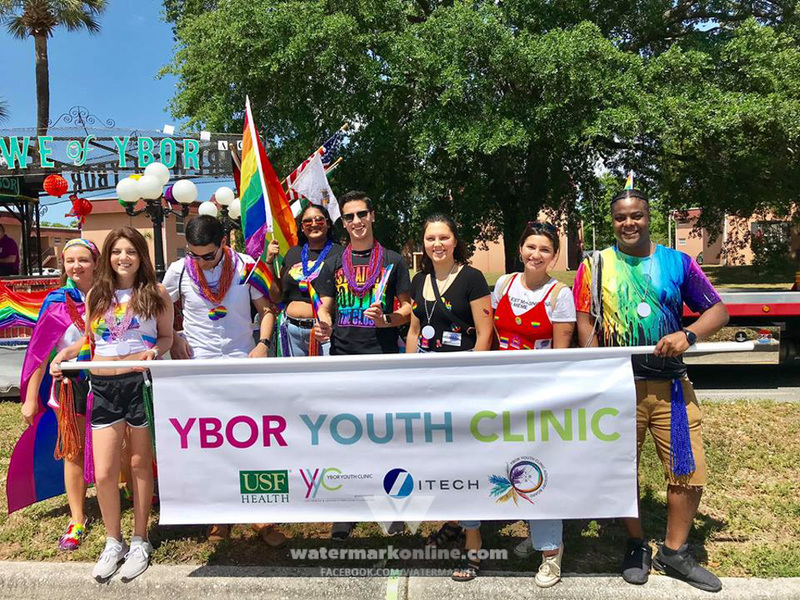 Section 2 prohibits municipalities from enacting ordinances on private employment or public accommodations, which would bar cities from passing LGBT non-discrimination measures in those areas. Section 3 of the bill would sunset that provision on Dec. 1, 2020. Chris Sgro, executive director of Equality North Carolina, expressed displeasure on Twitter over after worked to elect Cooper to the governor’s office only to have sign the compromise. In a rare criticism of Democrats, Chad Griffin, president of the Human Rights Campaign, denounced Cooper on Twitter, saying the governor was being misleading by saying he signed HB2 repeal.
.@RoyCooperNC taking credit for repealing #HB2. He did no such thing. Instead he signed new version of #HB2 and betrayed campaign promise. The outrage from LGBT advocates over Cooper signing the HB2 replacement is a far cry from their view of him last year when HB2 was first signed into law and Cooper, as North Carolina attorney general, announced he wouldn’t defend HB2 against legal challenges in court. The deal was struck came in the same week the National Collegiate Athletic Association said it will make decisions on events. The NCAA has said North Carolina won’t be considered for championship events through 2022 “absent any change” to HB2. According to the Associated Press, North Carolina cities, schools and other groups have offered more than 130 bids for such events. After Cooper signed the law, LGBT advocates — the North Carolina NAACP, the Human Rights Campaign, Equality North Carolina, the National Center for Transgender Equality and the Freedom Center for Social Justice — issued a joint statement calling on the NCAA to come out against the measure. The NCAA has yet to articulate publicly a position on the HB2 deal and whether it will now allow North Carolina to host championship games, although Cooper said during his news conference he expects sports games to return the state. UPDATE: During a subsequent news conference, NCAA President Mark Emmert said a decision will come next week on whether the changes to HB2 are sufficient enough for the league to plan championship games in the state.